The FDIC (Federal Deposit Insurance Corporation) is here to insure that what money we have in the bank will be there if something like this happens again. 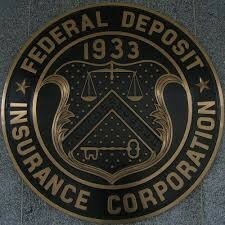 The FDIC was made in 1933 because of many bank failures that led to everyone losing their money that was in the bank. Everyone will be benefited by this because they are guaranteed that if they put their money in the bank they can get it back. By buying this you will be able to live a normal life and not like the people did during the Great Depression. But if you don't buy it you might as well live just like they did. "We Save by Helping You Save"